A detailed look at Tacotron 2’s model architecture. 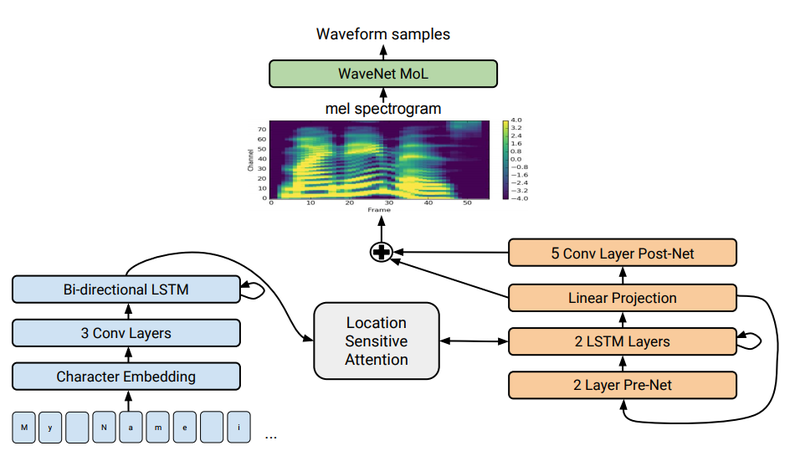 The lower half of the image describes the sequence-to-sequence model that maps a sequence of letters to a spectrogram. For technical details, please refer to the paper.